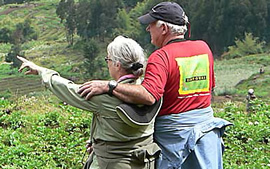 The 2 Days gorilla tour to Bwindi begins from Kigali airport, driving through either through Cyanika border post to southern Bwindi in Rushaga; or Begin from Kigali city and drive through Katuna border post to Ruhija in the northern sector of Bwindi national park. All this depends on the availability of gorilla permits in either sector of the park. Enjoy early morning breakfast and transfer to the park headquarters to be briefed about the “dos and don’ts” while with the gorillas. The trekking may take about 1-6 hours depending on the movement of the gorillas in the jungle. You will be in the company of the gentle giants for a maximum of an hour, enjoying them feeding, playing around as you do photography. 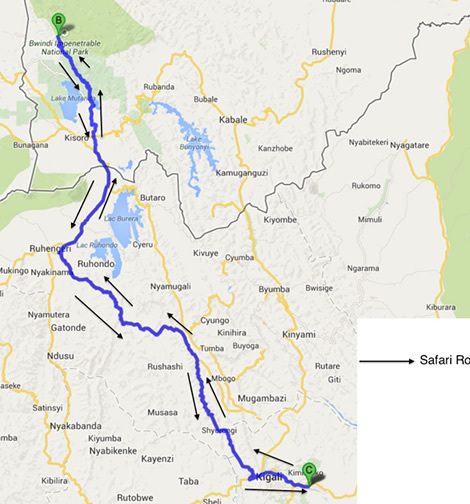 After the gorilla tracking adventure, you will drive back to Kigali for your scheduled flight back home. The 6 Days Uganda Gorilla safari takes you to Bwindi national park, Kibale national park for chimps trekking & Murchison falls national park for amazing view of the waterfalls. Hotel gorillas is a Five-star hotel situated within Kigali city. The charming establishment comprises of 31 fully furnished rooms, a cozy bar & restaurant and a swimming pool. 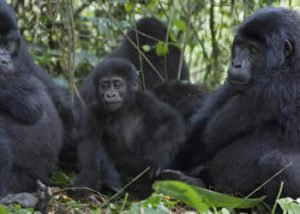 Nyungwe Forest has limited range of accommodations. Our preferred luxury lodge is the magnificent and award-winning Nyungwe Forest Lodge. In the mid-range, we have Nyungwe Top View Lodge. At Lake Kivu, our high-end choice of the lodge is Lake Kivu Serena Lodge. In the mid-range section is Paladise Malahide, Hotel Gorillas Lake Kivu and Palm Beach Hotel, among others.